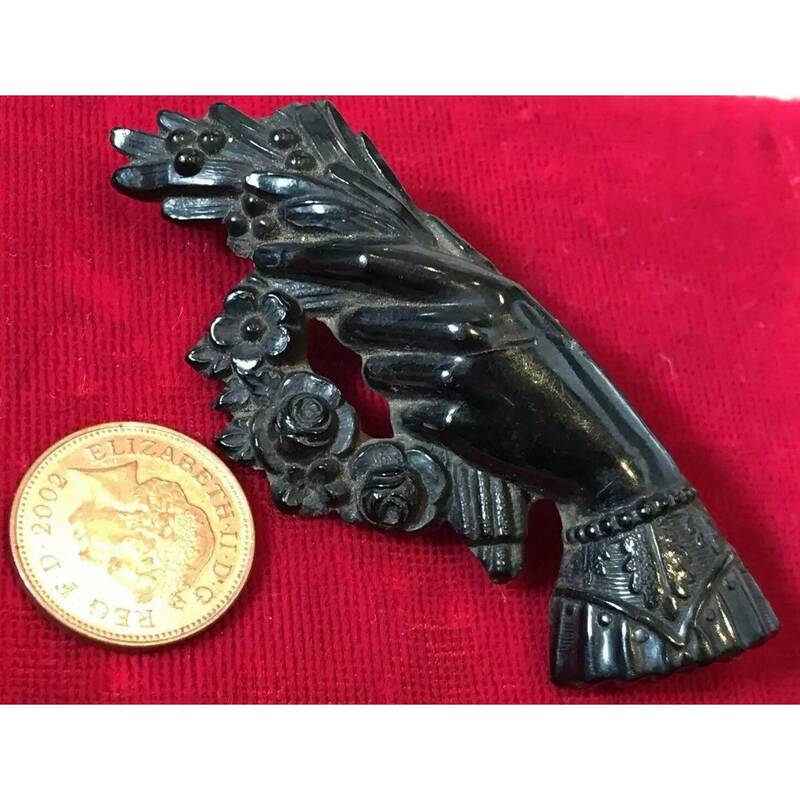 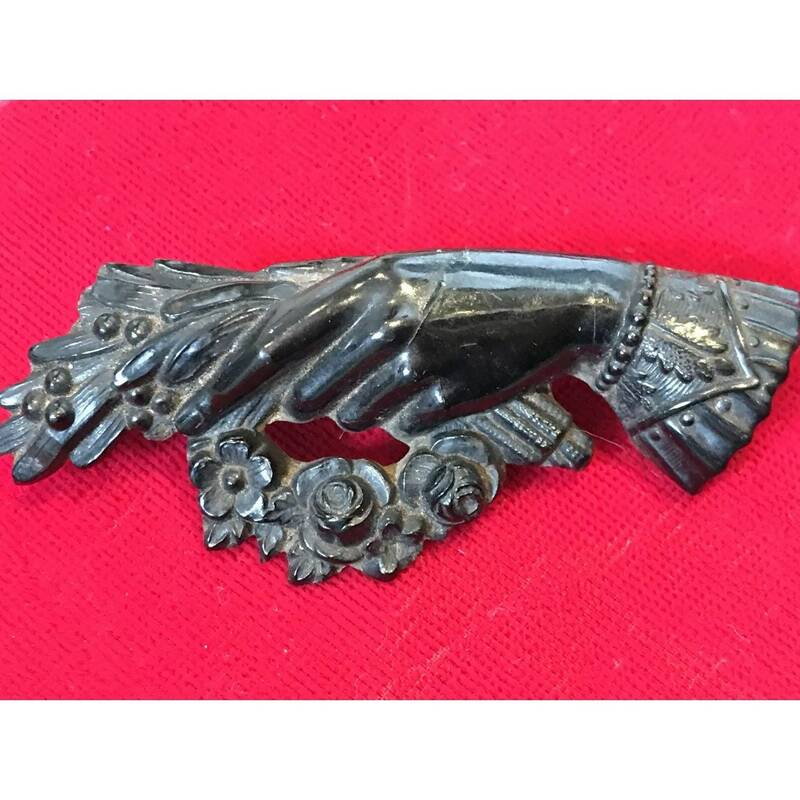 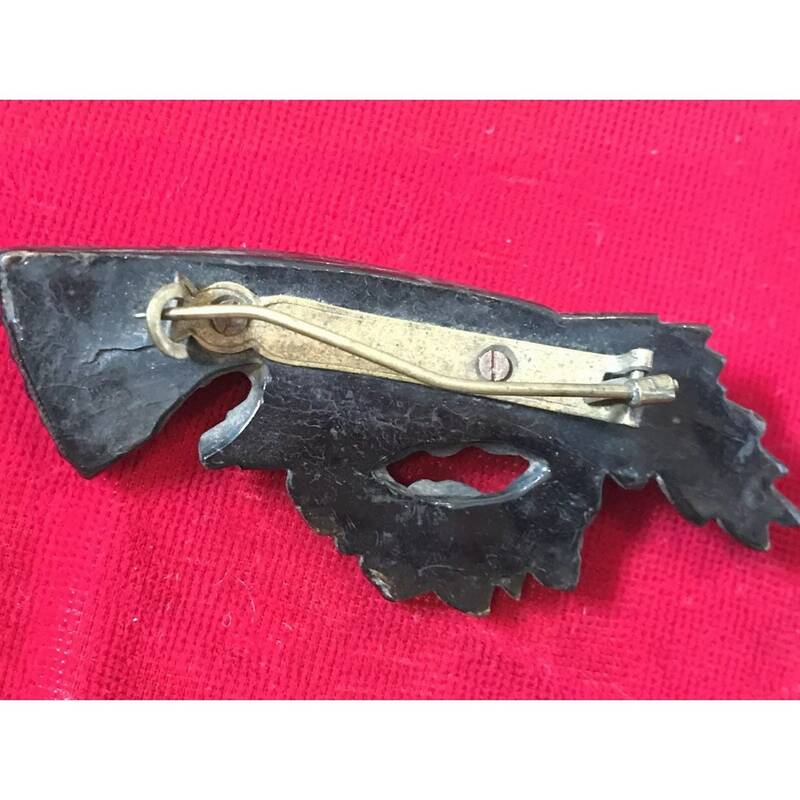 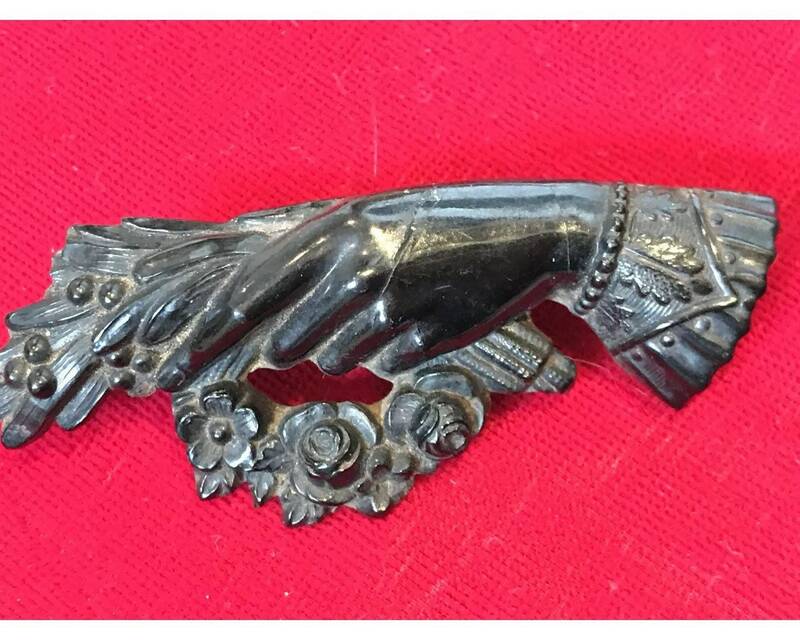 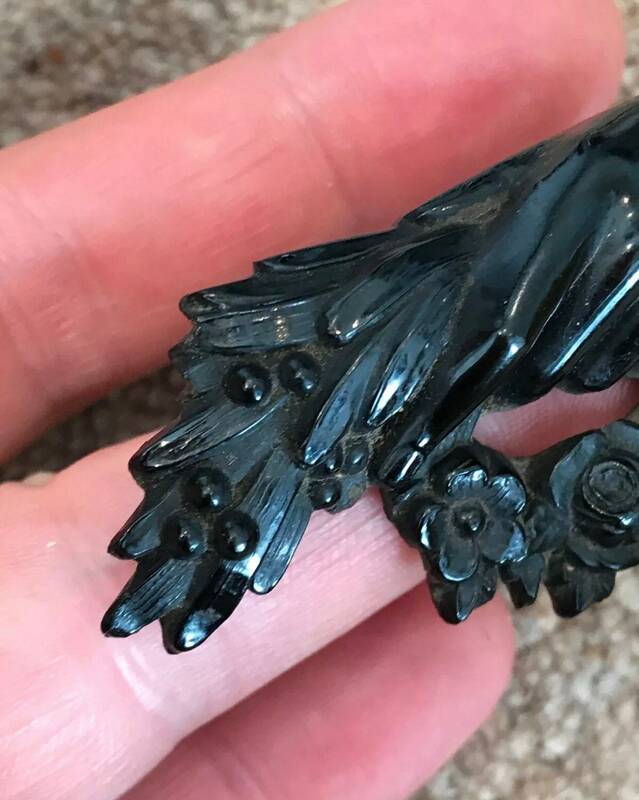 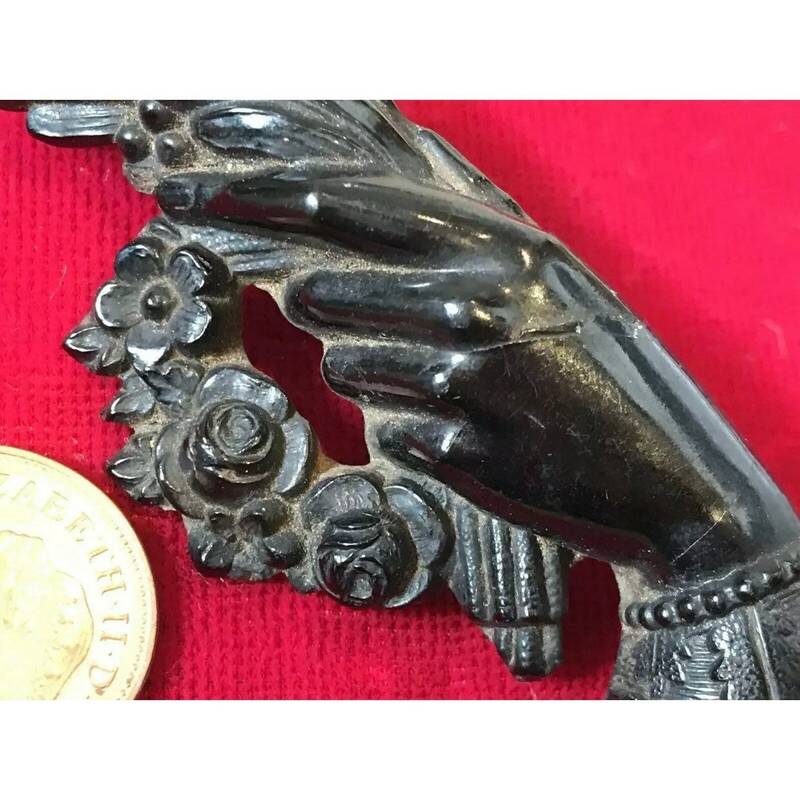 Here is a vintage Whitby Jet mourning brooch. 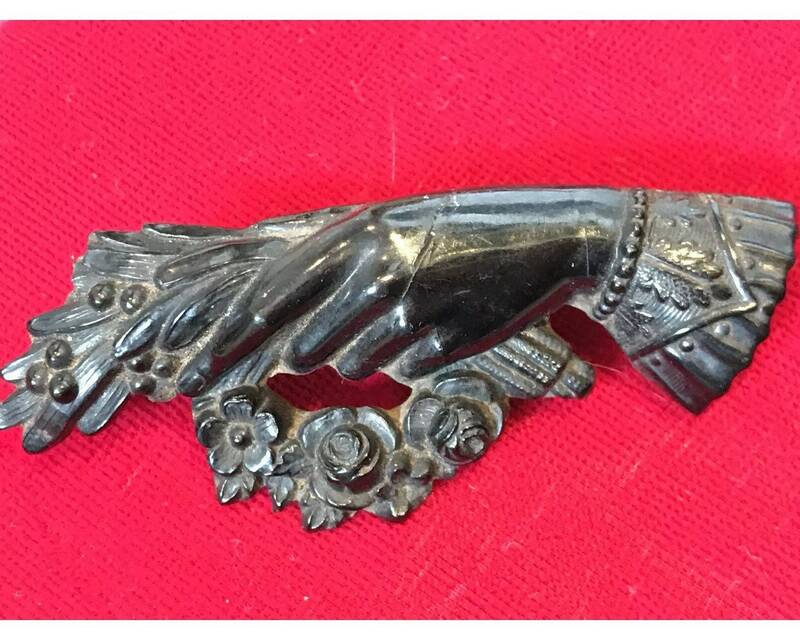 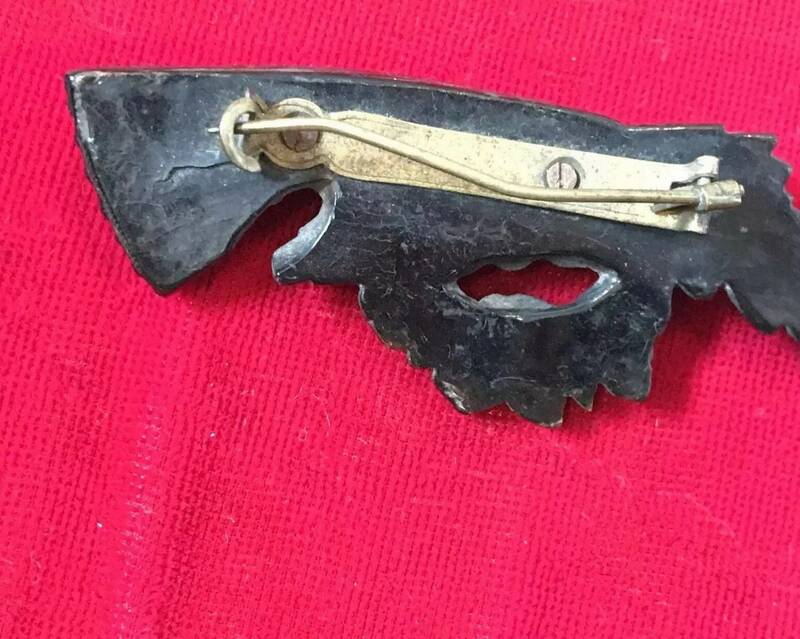 The brooch measures approximately 7.5cm in length and has a width of 3cm. 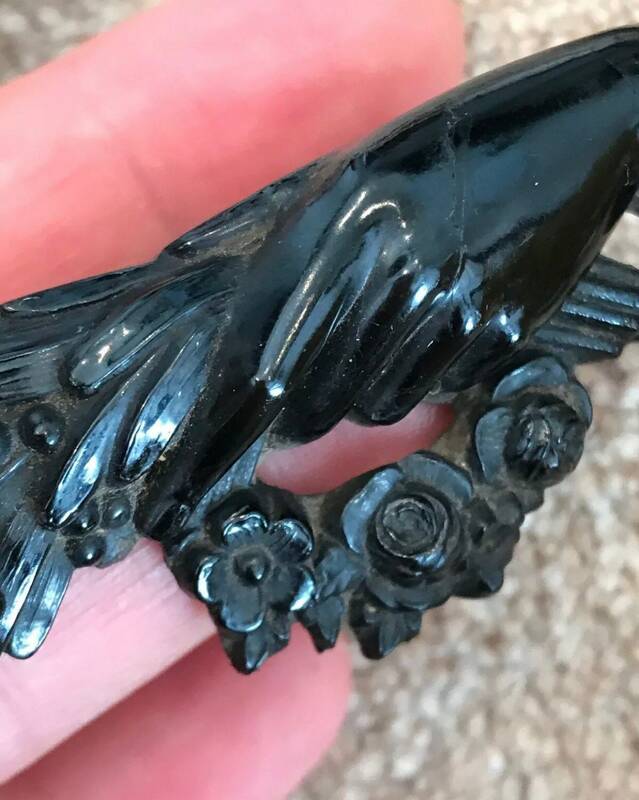 It has some light surface cracks please see close up pictures.